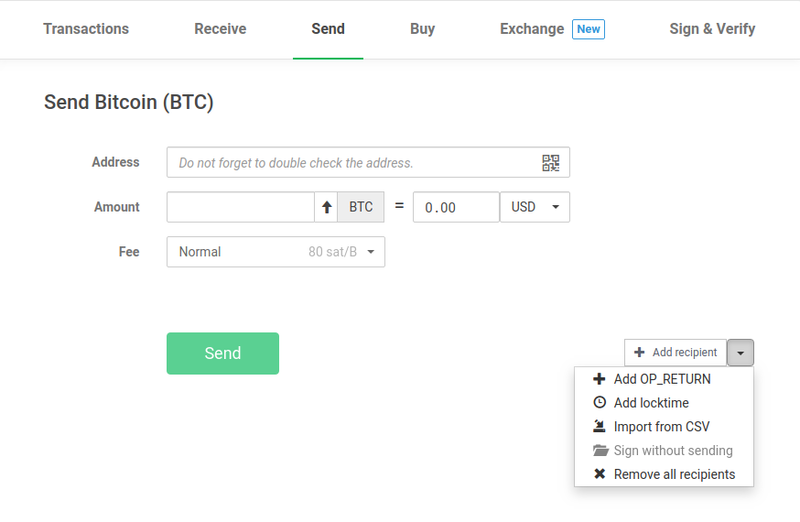 You can use OP_RETURN with your Trezor device. 1. Click on Add OP_RETURN in the Send transaction tab. 2. Write any text in the Data (text) box. 3. Click send. Your text is now permanently written in the blockchain. 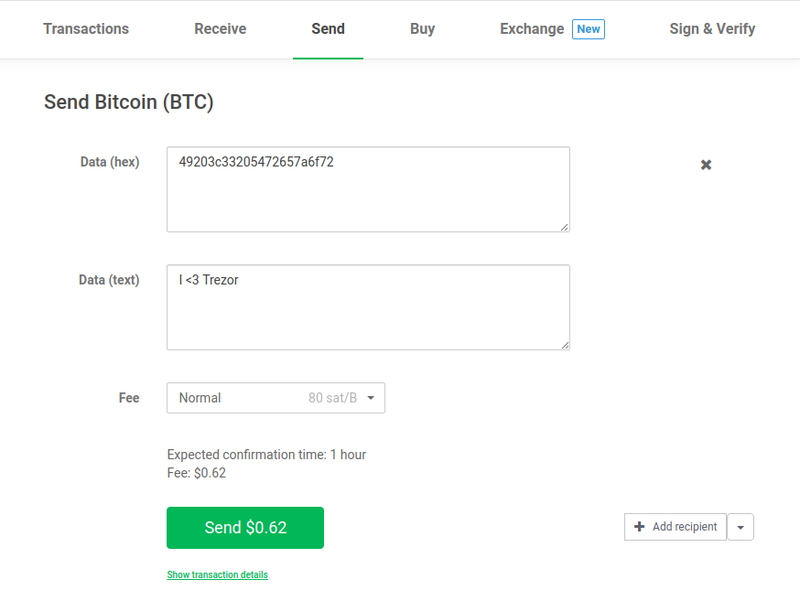 NoteThe longer the text is, the higher the transaction fee will be.